It goes without saying that most professional organization trainers are some of the best in the world and generally do more than a competent job in treating player injury, rehabilitation, and conditioning. However, given the all-encompassing nature of team trainer duties, it is extremely difficult to provide the type of in-depth, individualized care that is so vital to getting athletes to recover at their best. Even when healthy, most organization’s franchise players look for every edge they can to outperform the competition. And for both personalized injury care as well as performance advantages, there is perhaps no better advantage than your own specialist. 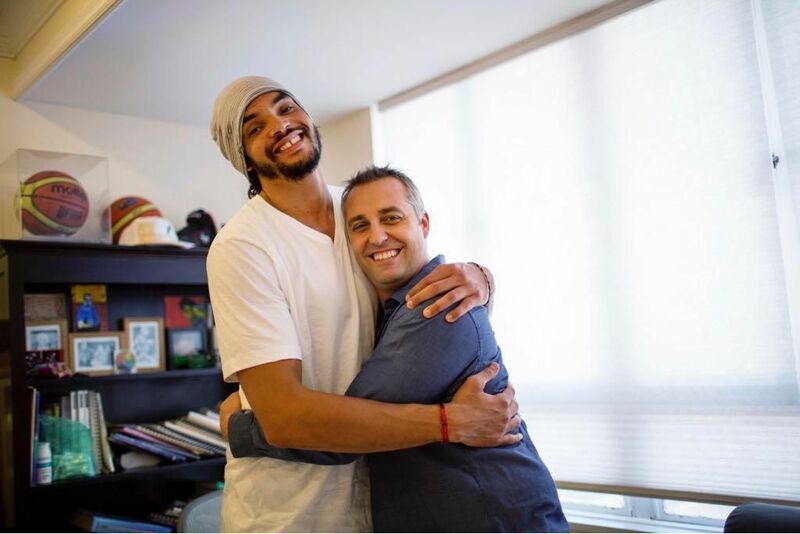 A shining example of this was Chicago Bull’s franchise player Joakim Noah’s remarkable 2013 playoff return against the Brooklyn Nets made possible by Noah’s personal therapist Fabrice Gautier. Suffering at the time from a severe case of plantar fasciitis, a stabbing pain in the thick band of tissue that runs from the bottom of your foot all the way up to your toes, Noah was uncertain he would even play in the series. The debilitating condition would prevent him from performing at his best on the court and prevent him from playing for some time. The prospect of Noah missing out on this important playoff series was even more painful emotionally than his physical agony. He had grown up in New York, where under the guidance of childhood mentor and coach Tyrone Greene, Noah flourished into a rising star, later recruited by the Florida Gators. To Noah, the 2013 series against the Bulls was a long-awaited homecoming where he would be able to play in front of his mentor Mr. Greene and his own family. His last recourse was Fabrice Gautier. As an advanced specialist in injury rehabilitation and peak-performance conditioning, Gautier conducted a discerning analysis of Joakim’s biomechanic mobility and the accumulated strain he had built up over the season on his foot. Based off this assessment, Fabrice was able to identify an intensive, all-encompassing approach that could remedy Noah’s pain long enough to give him a shot at playing the first game of the series against the Nets. After an intensive bespoke treatment program, which involved targeted tissue therapy, body realignment, functional movement recovery, and footwork suppleness, Noah was able to bounce back in time for the series. What was perhaps even more improbable was that his ailing foot actually improved throughout the series leading up to Game 7, where he stole the show racking up a triple double (the only triple double that night) with 24 points and 14 rebounds. Noah’s powerful story presents a compelling argument for why bespoke personal care is worthwhile—and perhaps even indispensable—for professional athletes whose needs often transcend the scope of care provided by team trainers. Given the recent rise of personal coaches in professional sport leagues such as the NBA, NFL, and MLB, we are witnessing the emergence of a wellness trend that could ultimately change the way athletes view treatment and are treated over the course of their careers.